Hospitals are the first place where you should go after getting an injury, and that's why people think of them as the last place where they could get injured. It happens rarely, but it does happen. If you or a loved one has been unlucky to be among the people who have become hospital accident victims in the Lehigh Regional Medical Center, you should talk to the best Fort Myers personal injury lawyer you can find as soon as possible. Under Florida premises liability laws hospitals, like any other commercial entity, are required to take all reasonable steps to prevent foreseeable accidents on their premises. However, mistakes happen. If that leads to accidents and personal injuries as a consequence, providing you with first aid may not be enough, and the hospital may be liable to pay full and complete damages. At the Wolfson Law Firm, our Lehigh Acres hospital accident injury attorneys have helped victims injured in hospitals throughout Florida. We have helped our clients since 1963 and we are here to help you too. So call us at 239-777-9954 for your free consultation. Tell us about your case, and we'll determine together with you whether you are entitled to compensation and how to get it as efficiently as possible. Let us help you get the compensation and justice that you deserve. The Lehigh Regional Medical Center, located at 1500 Lee Blvd, Lehigh Acres, FL 33936, is one of the biggest and most important medical facilities in Lee County. It is accredited with the Gold Seal of Approval as an 88-bed acute-care facility. The Center offers a wide range of services to patients, including emergency medical center, cardiology treatments, progressive care, diabetes, care, laboratory services, orthopedic center, pharmacy, surgery center geriatric medicine and cancer treatment. There is no doubt that people at the Lehigh Regional Medical Center want the best for people coming into their premises, but mistakes are part of life. When people suffer injuries due to these mistakes, the liable person, corporation or hospital should pay just compensation. Keep in mind that Lehigh Regional Medical Center might not want to pay what it owes. You may need the help of a Fort Myers accident lawyer. 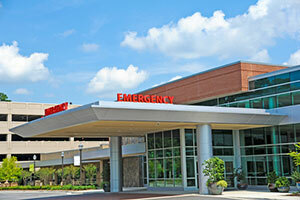 That’s why you should call our Lehigh Regional Medical Center accident attorneys at the Wolfson Law Firm. We can help you by starting to answer your questions for free. Call us for your free consultations at 239-777-9954. We don’t ask for fees unless we recover.